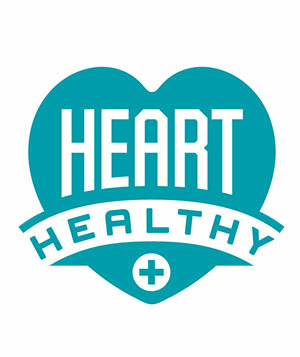 The City of Newton is highlighting heart health in recognition of February Heart Month. Look for new programs, interactive opportunities, and, most of all, tips on how you can lead a healthier life. “Heart month is a great time to take a step back and think about what we can be doing for ourselves and our families to lead healthier lives year-round,” said Dori Zaleznik, MD, Newton’s Commissioner of Health and Human Services. The city, in partnership with Cataldo Ambulance Service, will be drawing attention to the Automated External Defibrillator program, offering a CPR/AED training course and sharing healthy tips on the city website at www.newtonma.gov. To kick things off, the American Heart Association (AHA) has simplified heart disease prevention with Life’s Simple 7 and the My Life Check Assessment. These free online tools can help individuals to evaluate their heart health in the privacy of their own homes, learn more about seven risk factors for heart disease, and take action to make simple changes that can both improve quality of life and save lives. Learn about these 7 risk factors and how to take small steps toward controlling risk at www.mylifecheck.heart.org The American Heart Association also has great tips and resources for families at their Healthier Kids website www.heart.org/healthierkids Fun activities include a Healthy Challenge Scavenger Hunt you can do in the home, and a My Family Health Tree to help guide blood relative family health history research. Thanks for all the tips here..Very much appreciated..
I’m so glad that it was helpful!